Written with actor and playwright Brenda Withers, Northside Hollow enjoyed its World Premiere in the 2015 Harbor Stage season. Trapped underground after a deadly collapse, a miner finds his salvation in the arrival of a scrappy first responder. Northside is an intimate portrait of mortality, memory, and redemption. Small town, Texas, 1990's. A group of high-school kids gather at an abandoned house where they think they can party the night away. Armed with beer and music, free from parents and rules, nothing will stop them from having a good time tonight, except for themselves. The Grackles is currently in development. 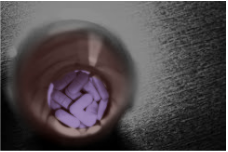 In early development and collaboration with theater deviser Jason Lambert, ﻿The Ballad of Bobby Botswain tells the story of two strangers who meet after a notorious drug distributer has disappeared. Ballad is still in its incubation phase and in 2018 enjoyed a staged reading at the Harbor Stage Company. relates a triptych of frightening tales where the living are far more feared than the dead - the true and grisly history of a Dracula wannabe, the macabre bedtime story of an infirm woman, and the biography of a man who presides as a living ghost. Each story reveals the scarier side of presenting our true selves. 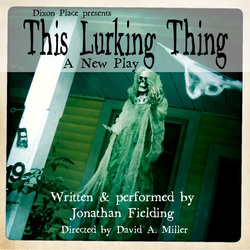 This Lurking Thing includes an adaptation of a short story by fantasy and science fiction writer Esther Friesner. It was presented October 27th, 2011 as a workshop production at Dixon Place in NYC, and produced by The Artfu﻿l Con﻿s﻿pirators. Wellfleet Harbor Actors Theater as part of their Playwriting Lab series. After several years collaboration with the Misa Table, 1905 was created and presented in Amherst; a full length play with live music, video and still projection, song, and storytelling. It was directed by Gina Kaufmann. 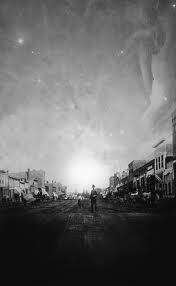 1905 tells the story of six immigrants in a rural Nebraska community and their preparation for a travelling screening of the first of-length motion picture, The Great Train Robbery. 1905 was presented in 2010 with the help of a Visioning Grant from and at the University of Massachusetts in Amherst.